Show your appreciation with our Thankful for You photo frame. This glass picture frame measures 8 1/2 x 6 3/4 H and holds a 5 1/2 x 3 1/2 H photo. 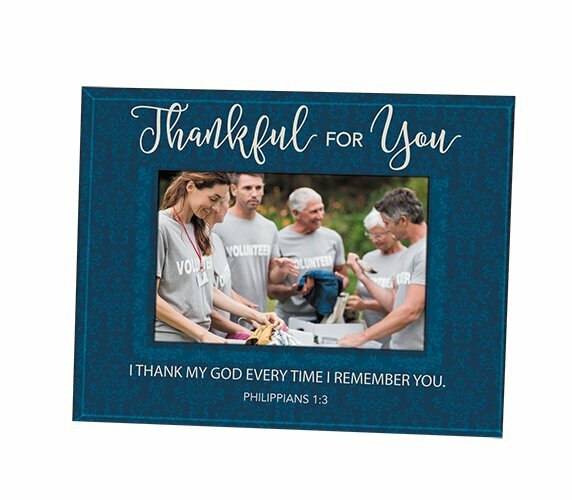 A perfect gift for family, friends or volunteers, this frame features the verse from Philippians 1:3 "I Thank My God Every Time I Remember You."